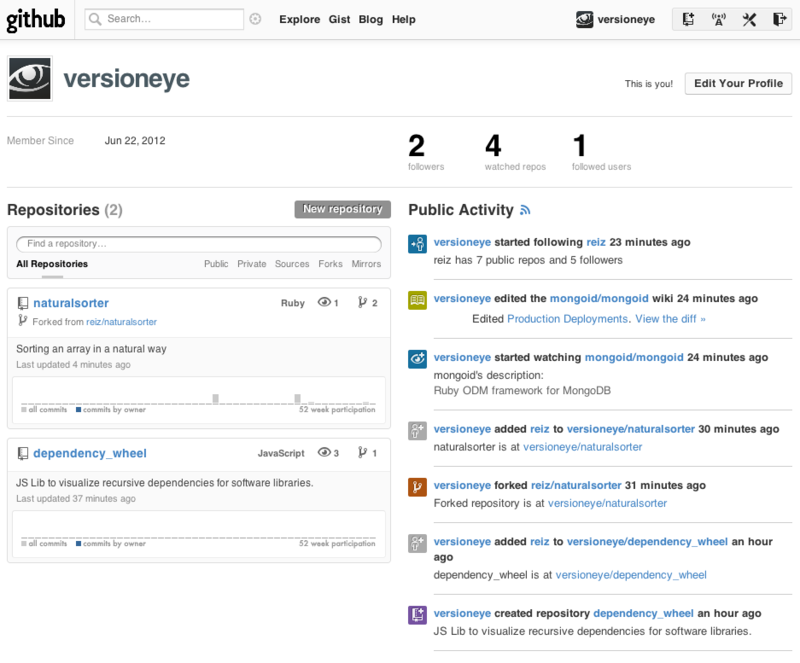 VersionEye is now on GitHub. Check out our GitHub Page: https://github.com/versioneye. And we open sourced the natural sorter. Which is sorting all the version numbers in natural order. Feel free to take look to our source code and to contribute.